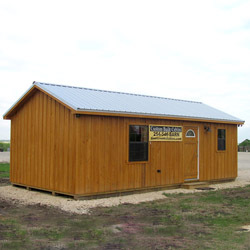 Placing a prefab cabin on a plot of land in New Mexico is the perfect way to give yourself or your business the space you need. 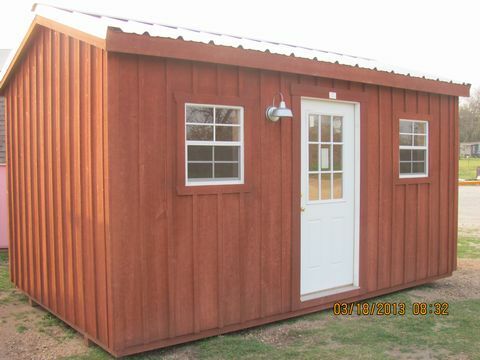 Deer Creek Structures manufactures and delivers pre-built cabins in New Mexico quickly to those looking at portable cabins as an option for creating extra space for a wide range of applications. 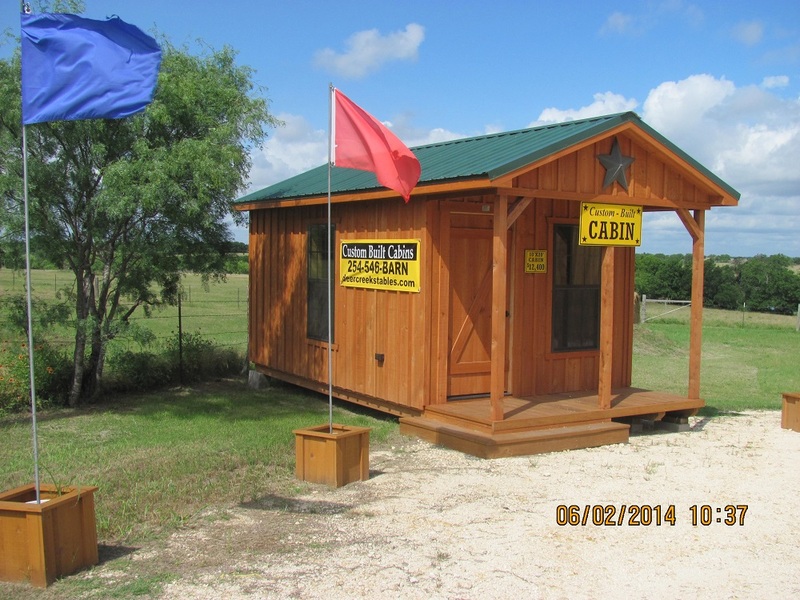 When you purchase a portable cabin from Deer Creek Structures, you will get a superior product that will last for years to come and provide you with shelter in a variety of different circumstances. 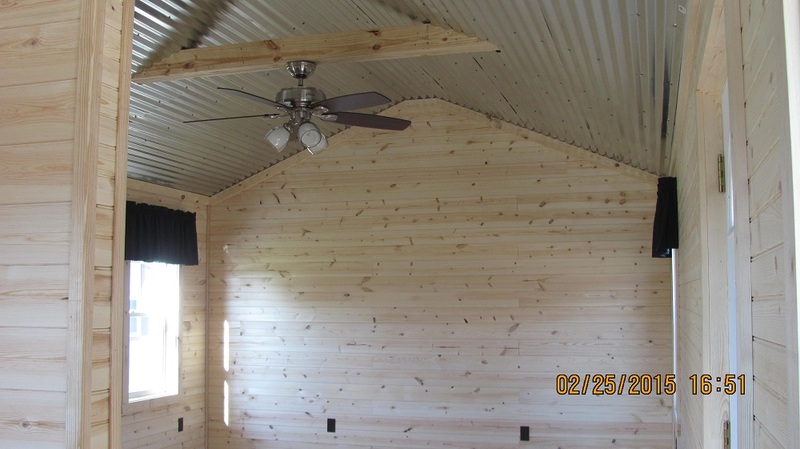 You are sure to be impressed with how sturdy these prefab cabins are and you will be glad you purchased one when you see the durable construction, high-quality materials and ease of setup. 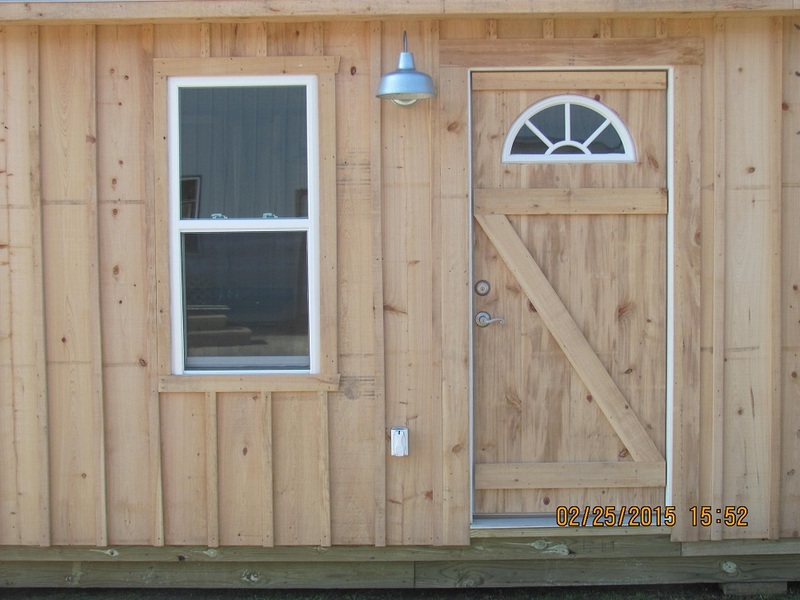 All of the pre-built cabins available feature cypress wood siding on the exterior, which offers an impressive longevity and resistance to the tough weather conditions, while also providing great visual appeal. 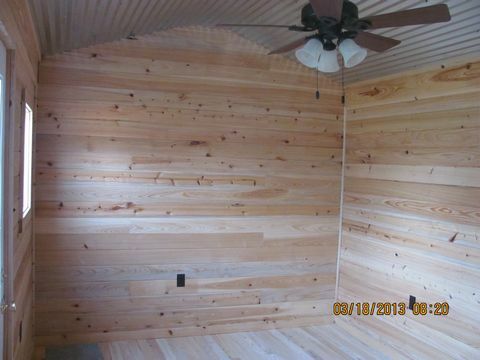 This wood also serves as a natural insulation layer, helping to keep your cabin cool in the summertime and warm in the winter. 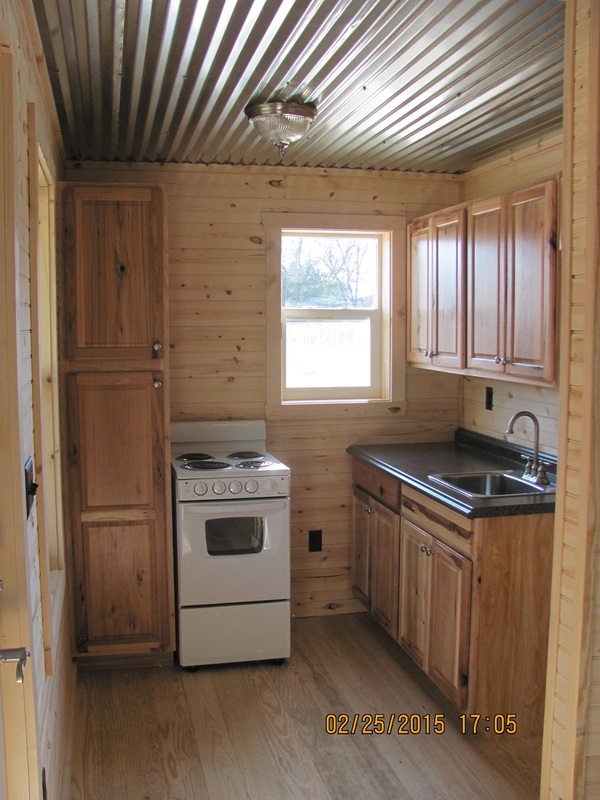 In addition to wood siding, the portable cabins also feature metal roofs with low-E insulation. 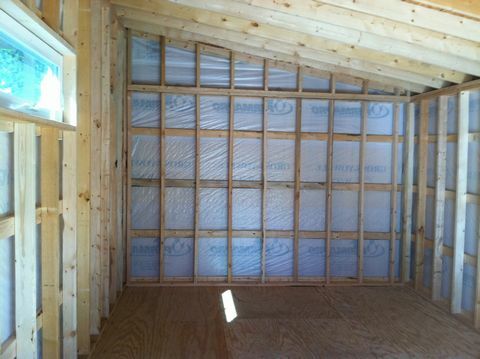 These types of roofs provide the prefab cabins with a radiant barrier and extra insulation, while also acting a noise suppressant when it rains. 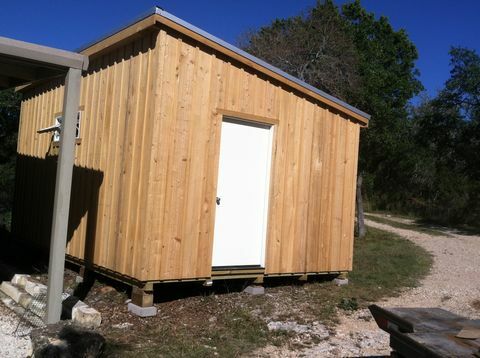 Are you planning on using your prefab cabin for hunting? 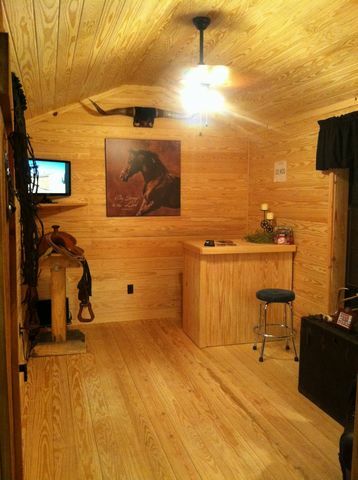 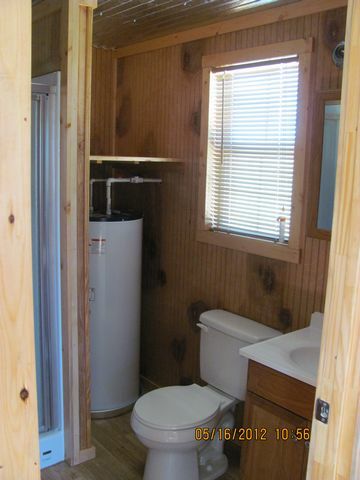 Or do you want to be able to move your portable cabin around regularly? 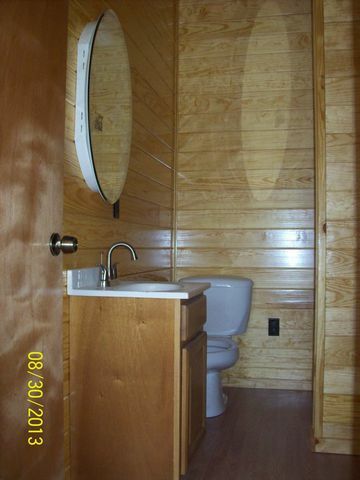 The 12-foot pre-built cabins in New Mexico are an excellent option in either of these cases. 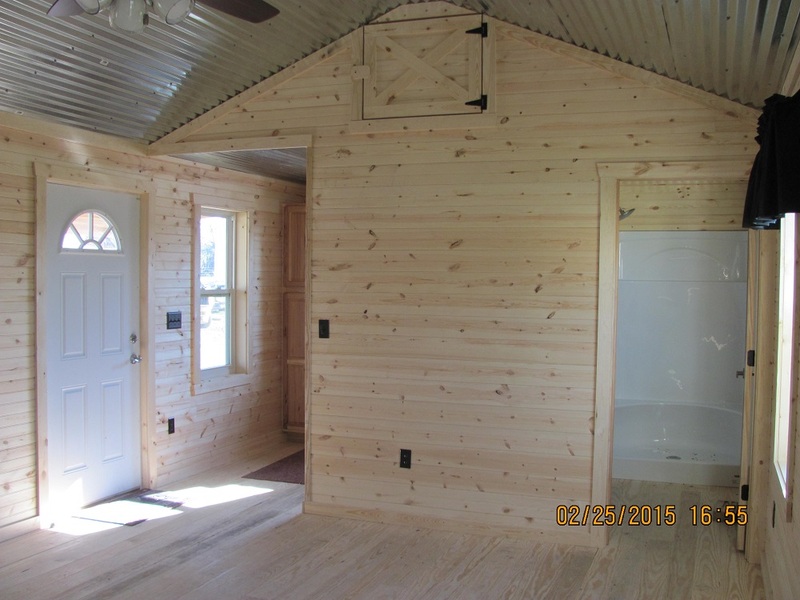 These portable cabins will protect you from the weather and give you some space to move around, but they are also the most portable option. 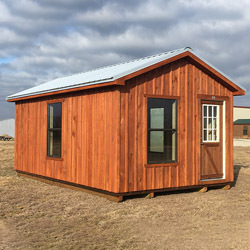 While the 12-foot portable cabins will be a great choice for some people in New Mexico, the 14-foot prefab cabins are better for those who want a little bit more room inside their cabin. 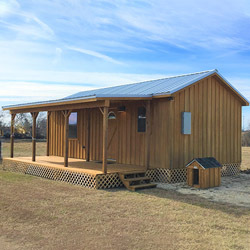 Whether you plan on using your prefab cabin for storage purposes or just need a little more elbow room for a cabin set up next to a farm or out in a remote area of your property, you will get it with these portable cabins. 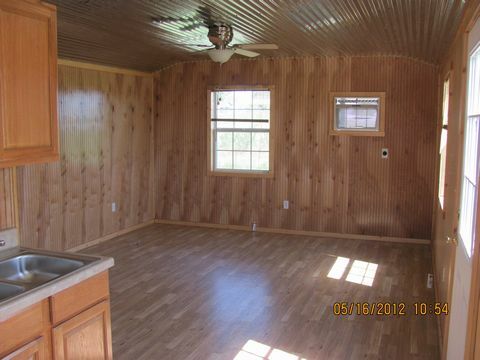 If you want even more room than the 14-foot New Mexico prefab cabins allow, 16-foot prefab cabins are also an option. 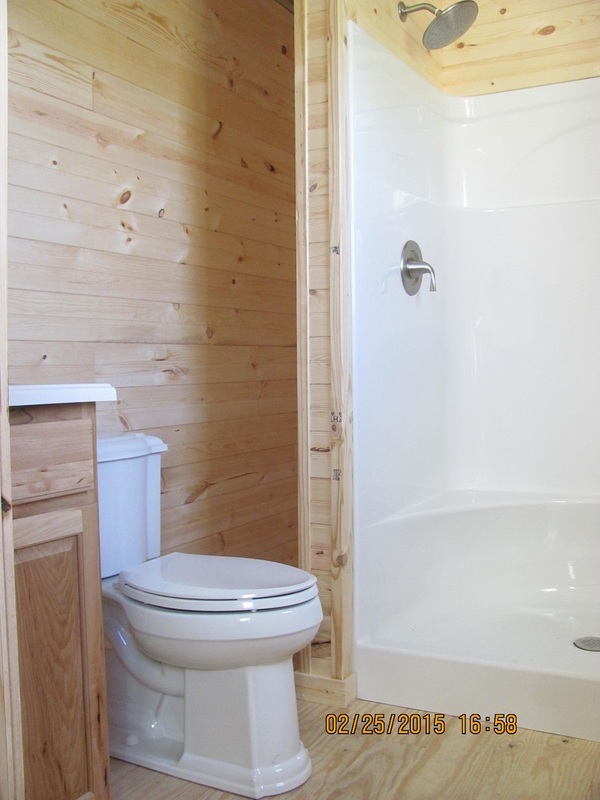 They offer the most room of any pre-built cabins and can provide all the extra storage room, working area or living space for your family if you are outgrowing your main living quarters. 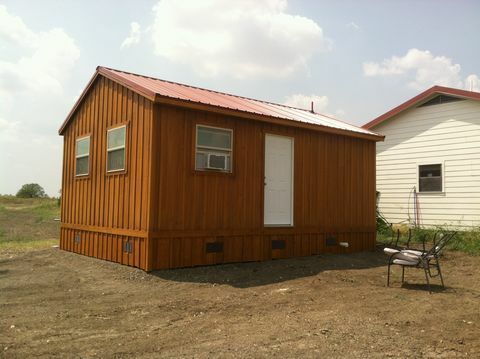 If more room is what you need, these prefab cabins will do the trick. 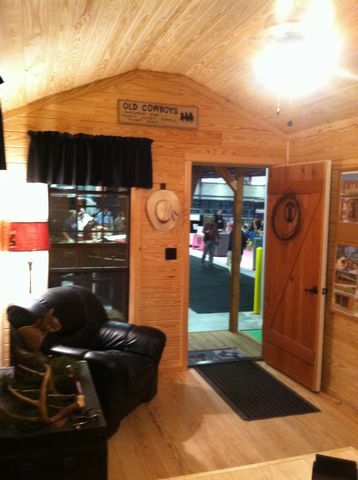 These prefab cabins can keep you comfortable when you hunt and protect you from the rain, wind and more. 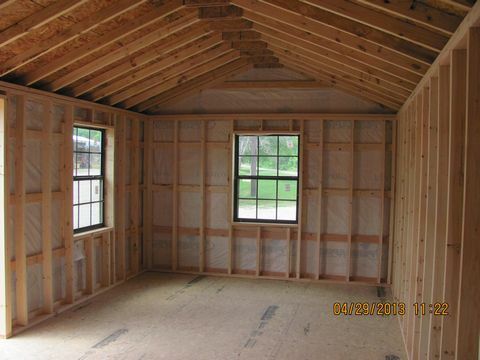 Plus, with a lightweight construction, they can be moved from site to site if needed during the year or from season to season. 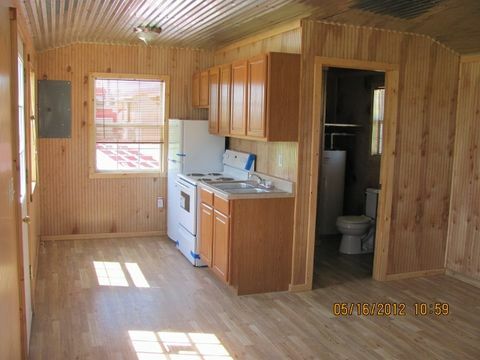 Other people in New Mexico have installed prefab cabins outside of their homes to provide themselves with extra storage or near their farms to give them a sheltered workspace. 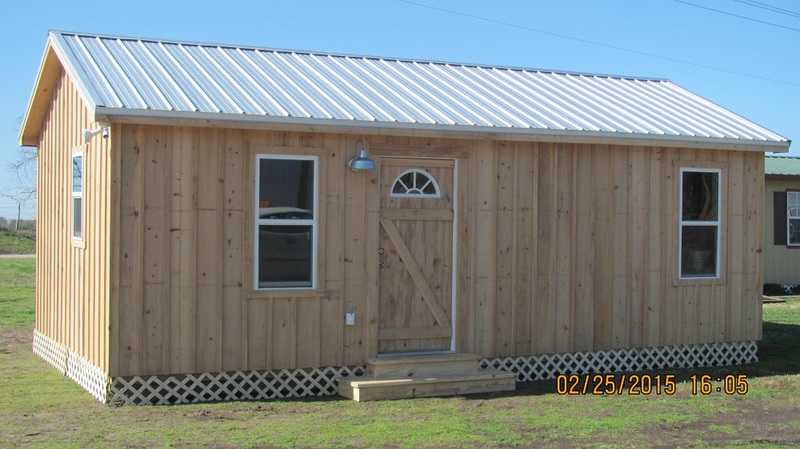 Deer Creek Structures carries a large selection of prefab cabins, barns and run-in sheds for those people in New Mexico who want to obtain one quickly. 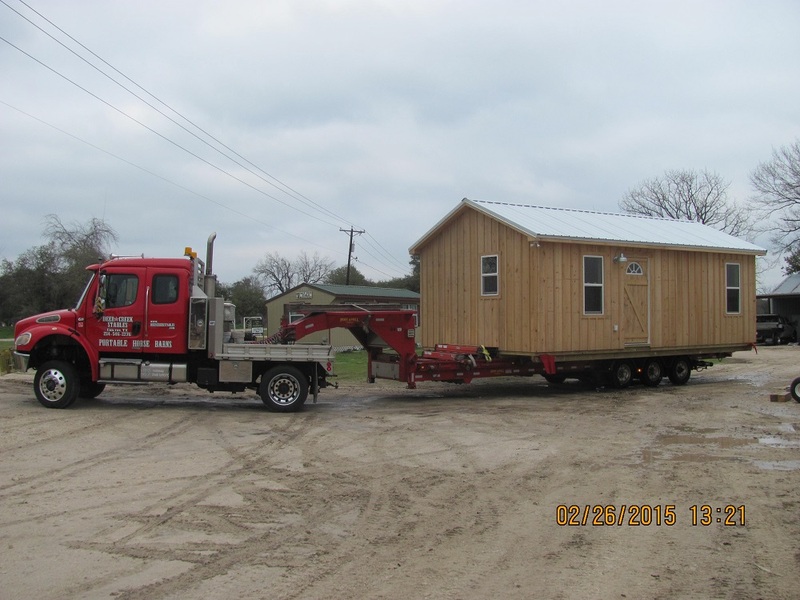 If you think pre-built cabins in New Mexico are the right option for you, call 254-546-2276 today to discover why so many other people have called on Deer Creek Structures for their prefab cabin needs. 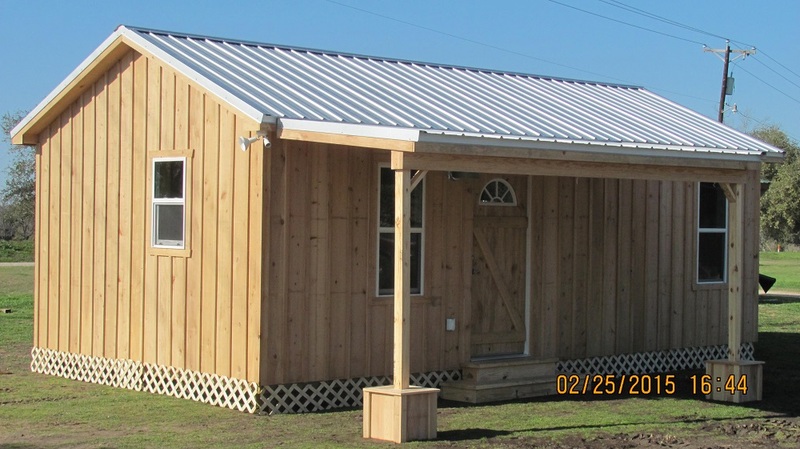 Deer Creek Structures can deliver one of these portable cabins to you quickly, whether you prefer a finished or unfinished structure. 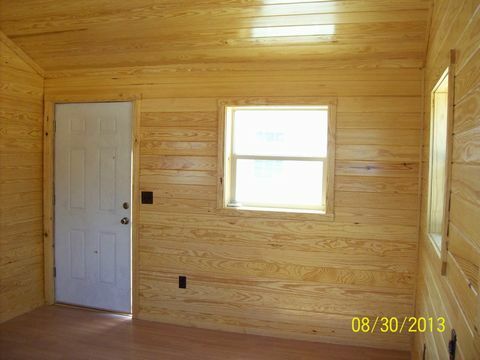 See what Size Prefab Cabins are on the lot.